It's the end of our boys football season today. We've sat/stood, tried to stamp the cold out of our feet and had our hands wrapped around mugs of hot tea/coffee on Saturday mornings for months. We've cheered and celebrated, consoled and commiserated every weekend since April. Now our Bomber boys hang their boots up until next season. No more rushing out the door on Saturday mornings with arm-loads of footy gear, frazzled and forgetful. Saturdays will take on a slower, more relaxing pace, starting with this afternoon. 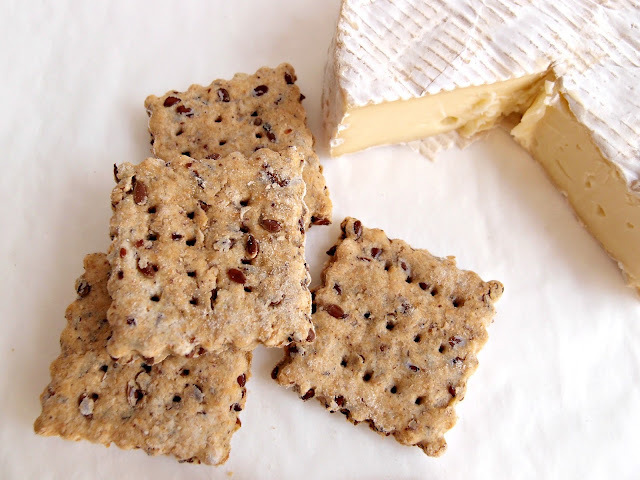 Wholemeal Flaxseed and Black Pepper Crackers and a glass of red wine anyone? Place a rack in the center of the oven and preheat to 165 degrees C. Line 2 baking sheets with baking paper. Set aside. 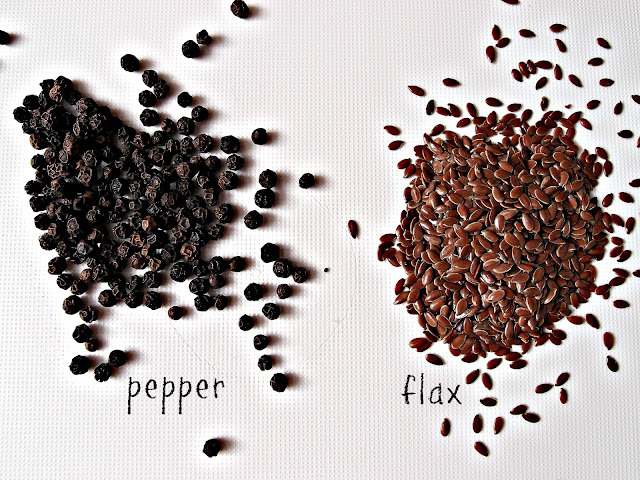 In a medium bowl, whisk together flaxseed, LSA, flours, bi-carbonate of soda, black pepper and salt. Add the butter, and using your fingers, quickly work the butter into the dry ingredients. Make a well in the center of the mixture. Add the buttermilk, and use a fork to bring all of the ingredients together. Make sure that every bit of flour is moistened by the buttermilk. The dough will be shaggy. Turn the dough out onto a lightly floured work surface and knead together about 10 times to bring the dough together. Wrap in plastic wrap and refrigerate for 10 minutes. When chilled, cut dough in half. On a lightly floured work surface, with a lightly floured rolling pin, roll out half of the dough. Roll it out until it is about 2mm thick. 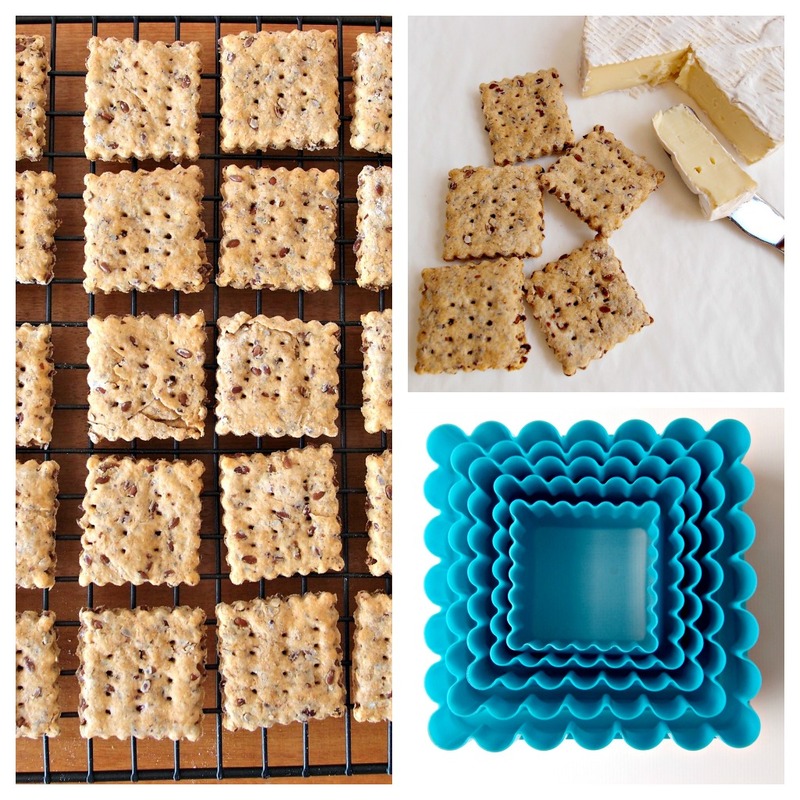 Use a 4cm square or round cookie cutter to cut out crackers. 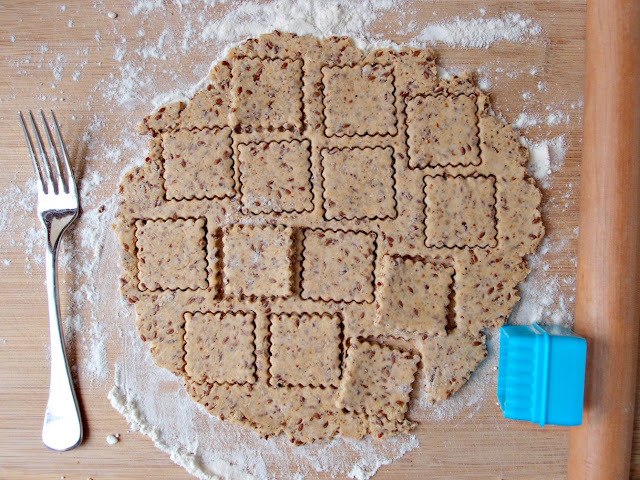 Prick each cracker with the tines of a fork and place on baking sheet. 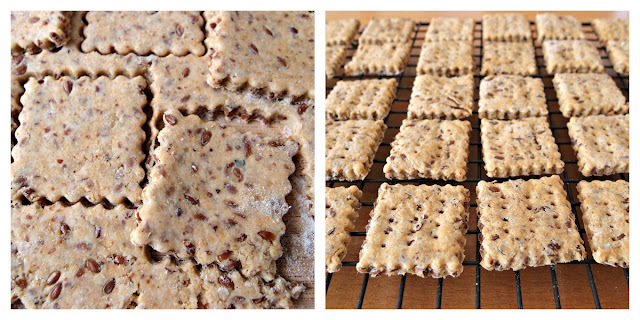 Bake crackers for 15 to 18 minutes, until slightly browned around the edges. 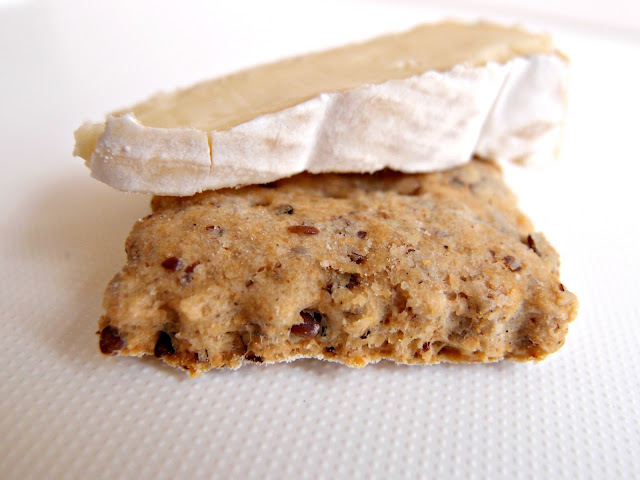 Remove from the oven and allow to cool completely before placing in an airtight container to store. 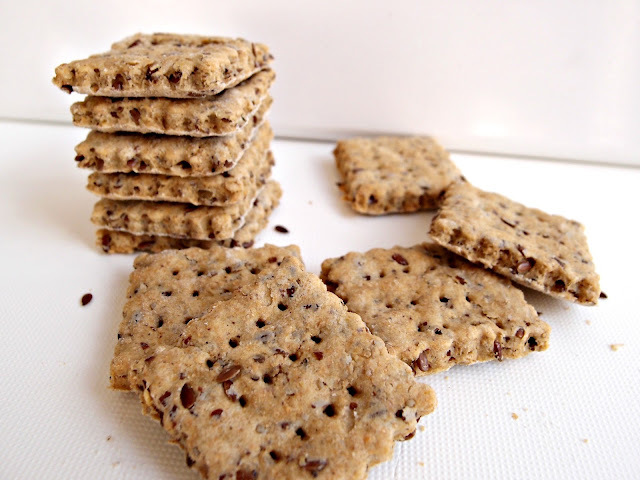 Crackers will last, in an airtight container, at room temperature for up to 4 days. Hi Jennifer, I love the biscuits. 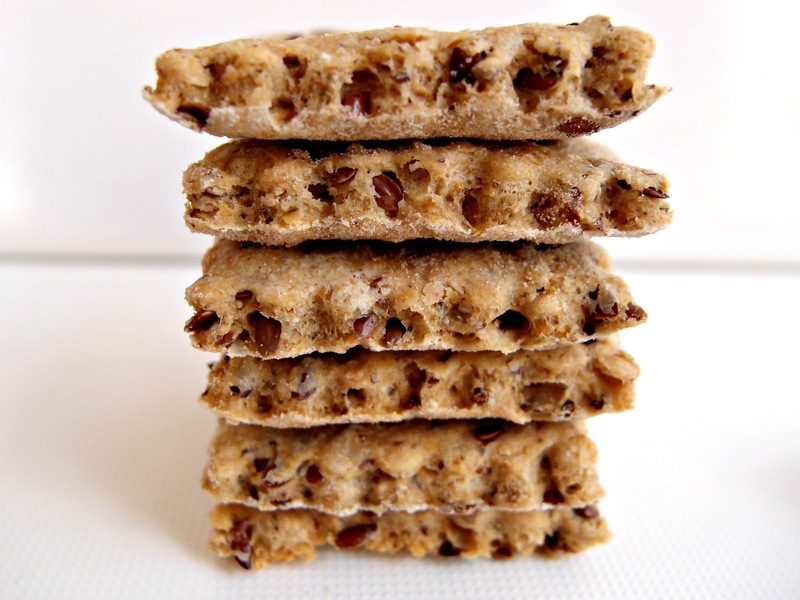 They were as awesome as the idea of blackpepper and flax seed biscuits. But my biscuits lost its crunchiness within hours after baking. I baked them mid-morning and by 7pm, it's no longer crunchy (like biting a stale biscuits). I did put them in an airtight containers. Hey S, I'm glad you liked the crackers. I didn't have this problem, but I must admit, they weren't around long enough to go stale. 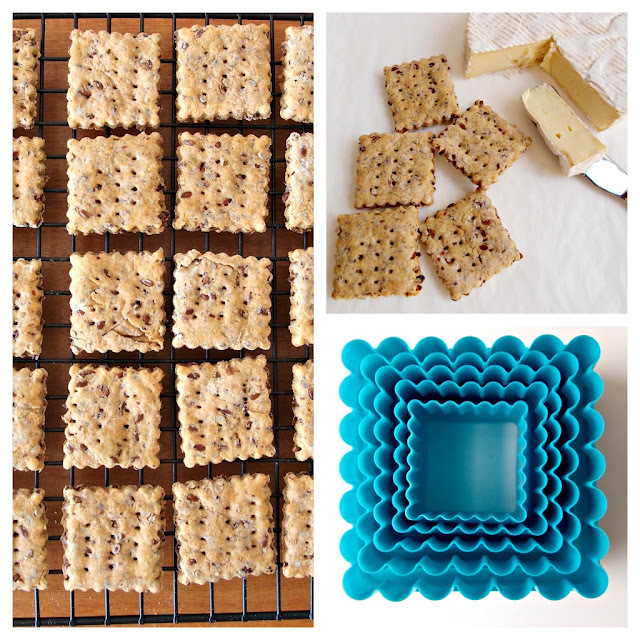 I've heard that putting crackers into a vacuum sealed container can help to keep their crunch. I hope this helps.